The roe (Mananjil / Paringil) of marine animals, such as the roe of sardine, lumpsucker, hake and salmon is an excellent source of omega-3 fatty acids. Check out this excellent roe recipe of the Mananjil thoran / Caviar Stir fry which you may not have tasted before. Don’t forget to share your thoughts and comments after trying this. In a frying pan take cleaned roe and add water, chilly powder, turmeric powder, curry leaves, salt, green chilly and one teaspoon coconut oil to it. Boil all the ingredients until the water evaporates completely. Add more water and boil again, if the roe is not softened well. Add remaining 2tsp coconut oil to it and stir to make it dry. Get the contact number of the fish seller and pre-book the roe in advance to get good quality of it in bulk. Add more chilly powder to make it more spicy. The image in this recipe is prepared using sardine roe. Do you need more thoran recipes? 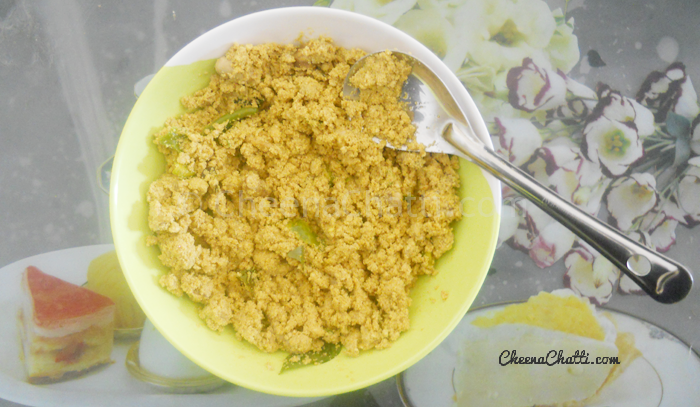 How to make Cabbage thoran in Kerala method? This entry was added on March 5th, 2013 by Cini P Moideen in Non Veg and tagged with tasty fish egg curry, roe recipe, kerala curry, manajil curry, fish egg curry, fish, thoran, caviar curry. Last revised on April 4th, 2018.
what is better to put caviar from these https://www.red-caviar.com in this dish? I a little that in it understand, in general on what to pay attention at purchase of caviar?